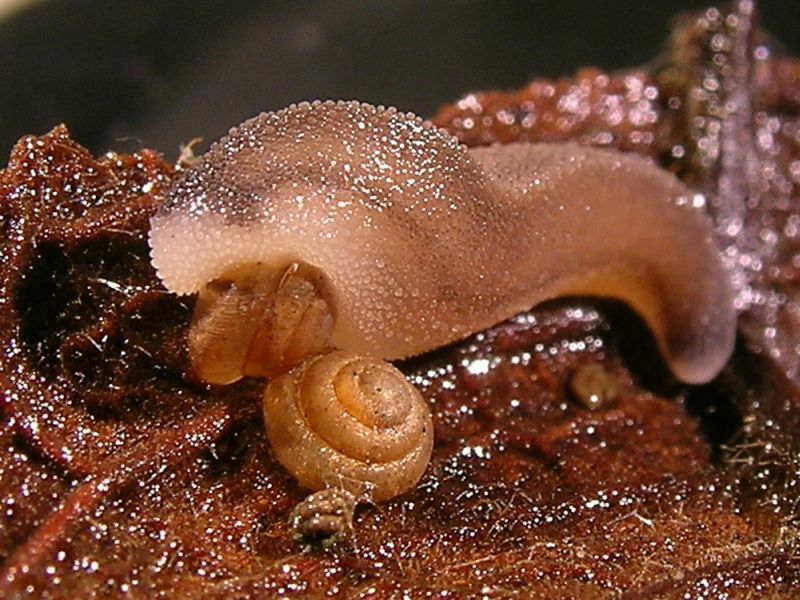 Quantula striata is a singularly fascinating species of terrestrial snail, that belongs to the one-member genus Quantula and also, the Dyakiidae family. Generally found in the Southeast Asian countries of Singapore, Philippines, Malaysia and Cambodia, this land snail is the only one of its kind that is capable of bioluminescence. 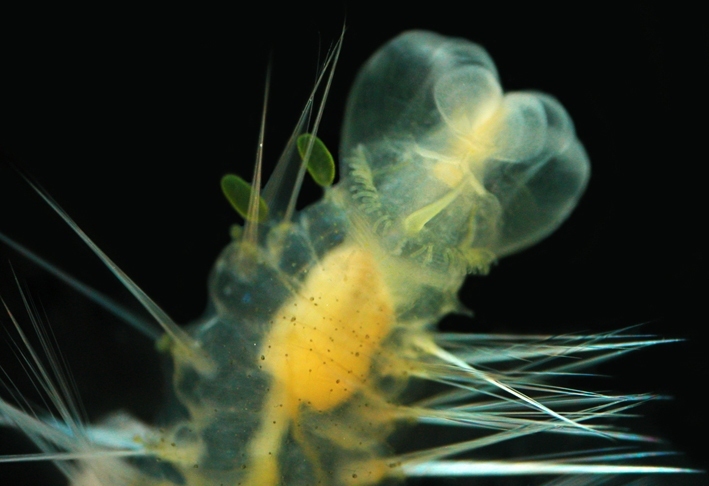 The eggs, as well as majority of the adults, of this species are known to produce a green light, by means of a specialized organ called the “organ of Haneda”. However, the purpose of this incandescence has not yet been fully understood. Another kind of luminescent mollusk is Hinea brasiliana, commonly called the clusterwink snail. 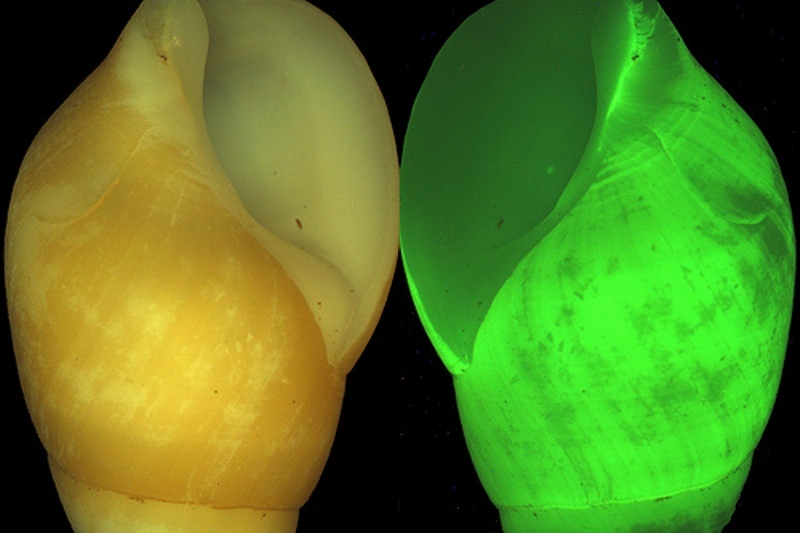 It is a bottom-dwelling marine snail that emits a fast blinking green light, quite unlike the land snails. The light is produced only when the snail is touched, and usually occurs in the form of rapid green flashes. Several species of these tentacled cephalopods exhibit luminescence, such as Watasenia scintillans, of the genus Watasenia. Commonly called the firefly or the sparkling enope squid, it is found mainly in the west Pacific Ocean near the coast of Japan. The tentacles, along with the area surrounding the eyes, possess tiny specialized organs called photophores, responsible for producing a scintillating bluish glow that illuminates the entire sea surface. 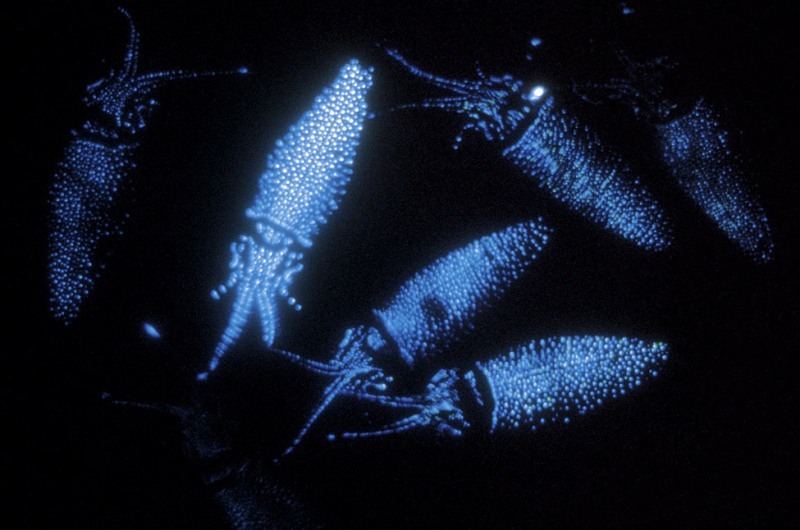 The firefly squid uses bioluminescence as a hunting mechanism, in order to attract its prey. One of the largest varieties of squid, Taningia danae or the dana octopus squid is another species that emits bright-colored light to capture prey and also, to entice potential mates. The Vampire Squid( “of Hell”) is unique in terms of its appearance. Its black “webbed” body, together with menacing red eyes, make it look kind of otherworldly. With the help of photophores, it not only creates glowing flashes, but is also capable of changing the color of the lights emitted. The most notable luminescent species of jellyfish is Aequorea victoria, commonly known as crystal jelly. This minute transparent hydrozoa is localized to the part of the Pacific Ocean stretching along the western coast of North America. 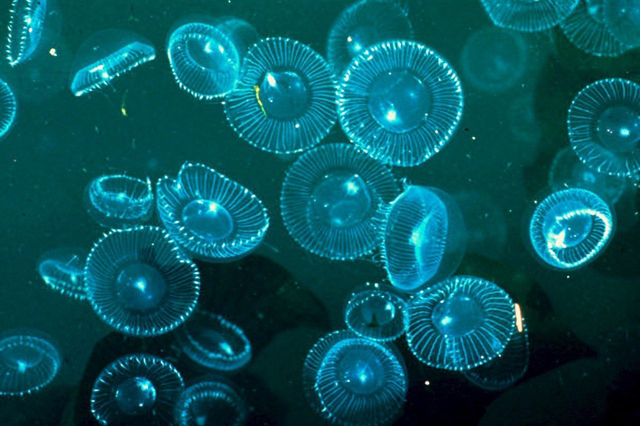 The mechanism of bioluminescence that it employs is rather unique. The initial blue light, that is produced as a result of the interaction between released calcium ions and the protein aequorin, is later changed to green by means of the Green Fluorescent Protein(GFP). 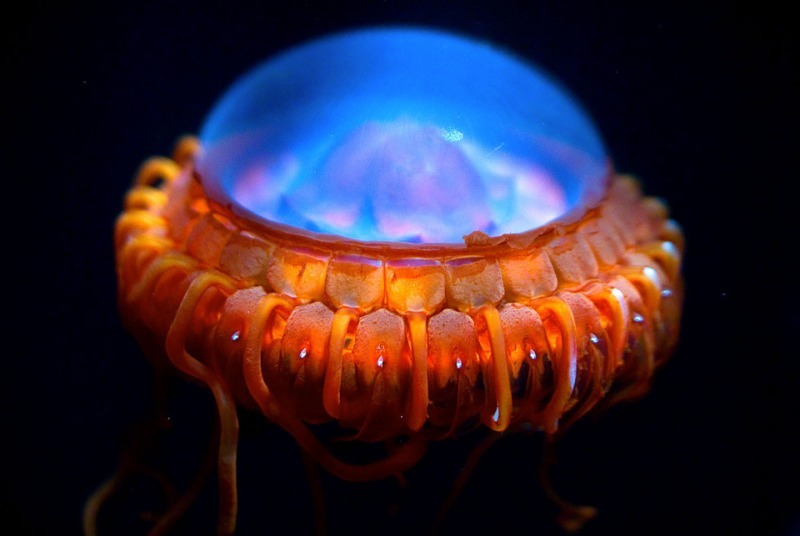 In Atolla wyvillei, also called the alarm jellyfish, the dazzling red color of its body is further accentuated with the help of bioluminescence, especially when the organism feels threatened. In both cases, this biochemical phenomenon is utilized for self-defense, in order to escape from the attacker. Although not a jellyfish, Ctenophora or comb jelly is a type of microscopic marine organism whose luminescence causes the carcass of its prey to glow inside its transparent gut. 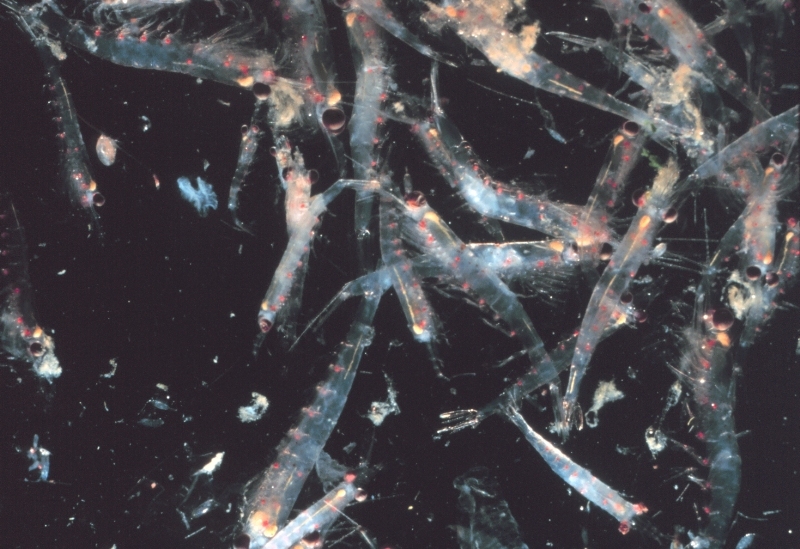 Endemic to the Southern Ocean of the Antarctic Circle, Euphausia superba, commonly called Antarctic krill, is one of the most populated animal species in the entire world. Also known as the light-shrimp, this variety of aquatic crustacean contains special light-producing organs throughout its body. These organs are equipped lens in the front and with concave reflectors in the back in the rear. They are responsible for creating a bright greenish yellow glow, that is believed to attract suitable mates, and also acts as a defense mechanism. 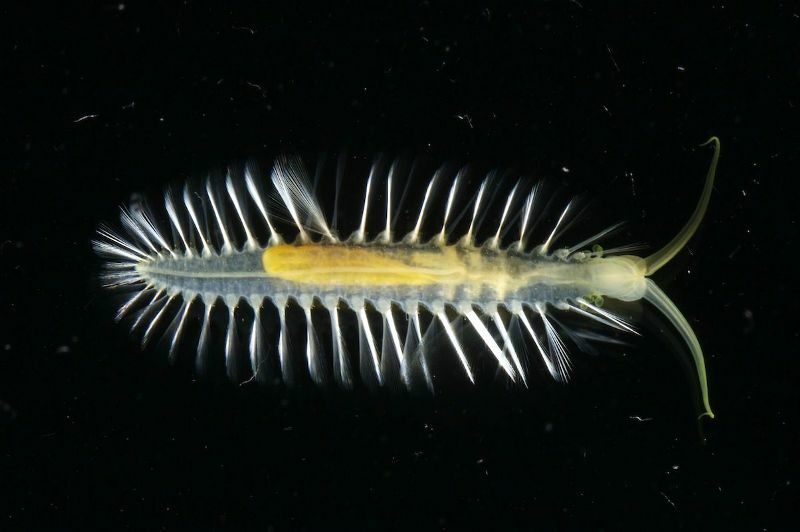 A recently discovered group of aquatic worms, called Swima bombiviridis, is known to use the phenomenon of bioluminescence in quite an inventive way. 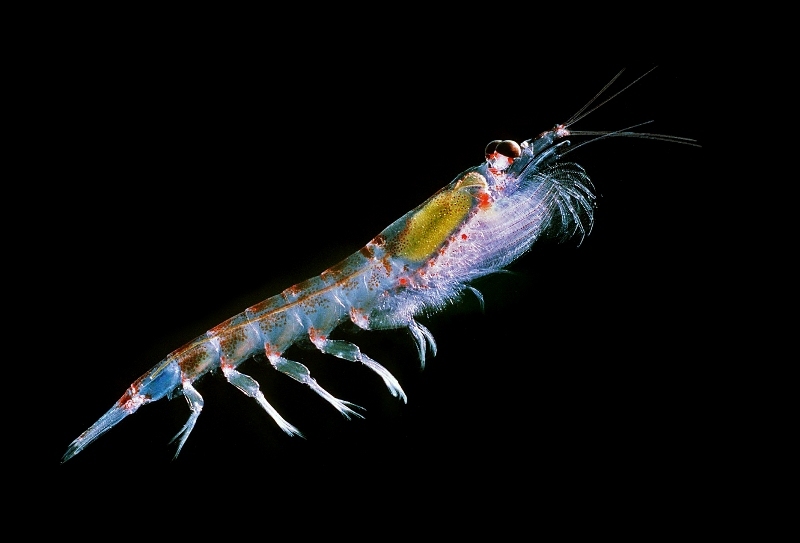 When threatened, these adept swimmers release minuscule luminous structures. The tiny green bombs are actually believed to be a decoy mechanism, to confuse the attacker. Very little is still known about these marine beings. The above mentioned creatures are only a few in the long list of fascinating bioluminescent organisms. There is the giant cockroach or Lucihormetica luckae, that is host to luminescent bacteria, that glow under fluorescent light. Even some species of earthworms seems to produce light, such as Diplocardia longa of the North American genus Diplocardia. 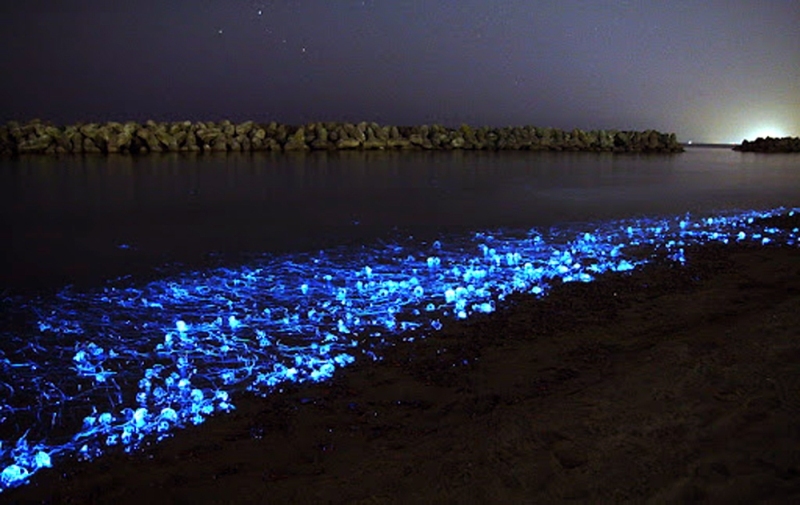 Here bioluminescence is caused by enzymatic reaction.